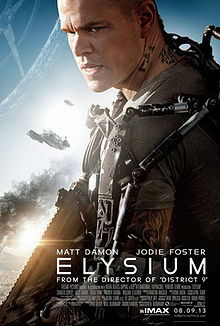 I was very excited to see the new Neill Blomkamp film Elysium from the first time I saw a trailer. It looked like someone was doing a realistic space epic, pulling in all sorts of SF tropes (Ringworld anyone?) and that someone was the same guy who gave us the incredibly impressive District 9 in his debut.